The member from Dramedtse Ngatshang, Ugyen Wangdi questioned and solicited updates from the minister of home and culture affairs on one of government’s 120 days pledges to adopt a policy to employ foreign workers to ease the workload of mothers. The minister of home and culture affairs, lyonpo Sherub Gyelsthen acknowledged that with the change in time, working parents and more specifically, women are facing difficulty in looking after their children due to acute scarcity of domestic helpers in the country. “If there are enough domestic helpers within the country, we have no issues but the situation is contrary, whereas in our bordering areas, there are many people who are willing to work as domestic worker in Bhutan. The main rationale for not permitting foreign workers to enter as domestic aid has been to ensure our own security and sovereignty,” said the Lyonpo Sherub Gyeltshen. Lyonpo Sherub Gyeltshen said that a committee spearheaded by the labour secretary has been formed to carry out a detailed study on the regulation of foreign maids in the country. The committee comprises of five important stakeholders from various agencies. 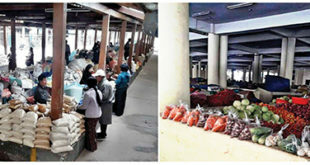 “Since it falls on the Ministry of Labour and Human Settlement to regulate foreign workers in the country, and that it has been mentioned in the Labour and Employment Act 2007 that foreign workers for domestic aid fall under the prohibited category,” said Lyonpo Sherub Gyeltshen. He pointed out that on one hand, there’s an increasing need and demand for domestic aid which is not available in the country and on the other hand, foreign domestic aid is prohibited in the country for security reasons. 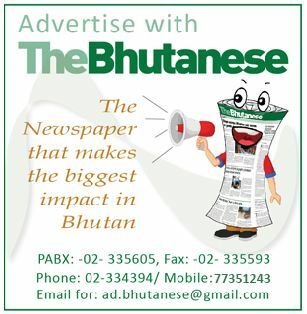 Lyonpo Sherub Gyeltshen opined that foreign workers entering Bhutan do not directly pose security threats. “We can further strengthen the existing laws on the foreign workers by carrying out a wide consultation with all the parties involved and make sure to come up with stringent rules and regulations in place to make sure both the parties involved are scrutinized to avoid any security issues in the future. He said that as important as it is to be wary of the external threats, and it is also equally important to be considerate about the internal complexities affecting the public, which he said falls on the elected representatives to present a safe route forth. Citing success stories from Singapore, the home and cultural minister said that with the advent of latest surveillance and security equipments and digitization, it is much easier to monitor a person’s movement. DNT in their manifesto rationalized the need to offer adequate support and enabling facilities to women and children after it has been found that women end up sacrificing their career once they enter motherhood due to the added responsibility of childcare. This, the pledge read, compromised women’s career progression and productivity owing to the numerous roles women have to play. Studies found that a lack of incentives and facilities has deterred Bhutanese parents from having more children. Recent National Population and Housing Census show that total childbirth reduced by almost 1,300 in the last 13 years. The survey also showed that women, especially in urban areas, delay childbirth for this reason. “If the issue is not addressed on time, it would weigh on the Bhutanese population, which could have implication on the nation’s security and sovereignty,” stated the report. 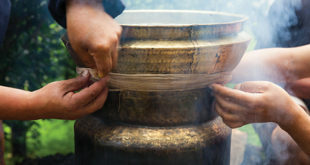 In another separate research published by the Centre for Bhutan Studies, specifically for the purpose to assess the impact of the availability of baby sitter on fertility measured as number of children in the family, it revealed that with rapid modernization taking place in urban places, such as Thimphu, combined with rising cost of living, it has become costly and difficult for families to have higher number of children. The problem, as per the report, has been compounded with those employees from neighboring countries, mostly India, working as baby sitters being evicted from the country which probably led to decline in the fertility particularly in urban areas. Overall, 72.29 percent of the respondents strongly agreed to the statements that they cannot go for more than two children because they cannot find babysitters.